Titled Four Walls, ArtChutneya��s next group show will kick off today at The Art Corridor. Described as a rendezvous with the countrya��s most celebrated artists and their art, the show promises to draw in a mix of seasoned art veterans and first timers. a�?The whole idea is to bring great art to the common man. People feel art is not affordable, and we are trying to dispel this notion,a�? says curator Shiraz Vakharia. 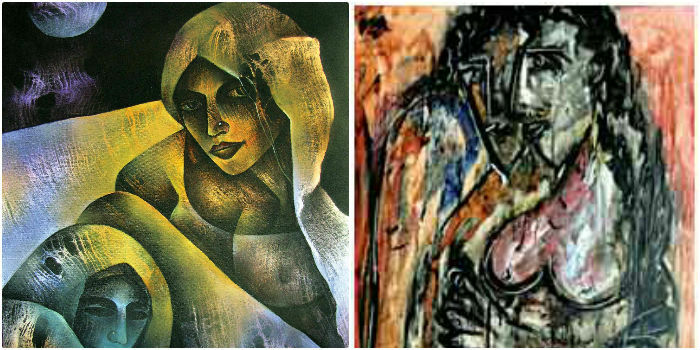 Showcasing legendary artists on one wall and upcoming artists on the second, the third and fourth have been dedicated to Delhi-based Vikash Kalra and Sekhar Roy of Kolkata. While Kalra draws inspiration from the likes of Pablo Picasso and Francis Newton Souza, Roya��s aesthetic is subtly sensual with strong strokes. The collection has figurative creations with the characteristic style and theme each artist is renowned for. a�?T Vaikuntama��s pieces depict his famous South Indian village folk, while Arpana Caura��s are paintings of strong women in various roles,a�? explains Vakharia. A few other artists of note whose pieces will be displayed include Suhas Roy and Sunil Das,A� and the legendary MF Hussain. Each piece in the exhibition has been carefully curated over a span of three months, and are even worked on just for Four Walls, keeping ArtChutneya��s clientele in mind. Talking about the interest generated towards their shows, Vakharia shares how detailed and painstaking people are when it comes to buying a piece of art. a�?Buyers are becoming increasingly particular about the paintings they purchase. They want to know where the artist studied, their backgrounds, the number and location of the shows theya��ve had, the awards theya��ve won, and so on. Ia��ve even had to mail a few of them resumes of the artists,a�? she says.